San Francisco, CA, March 22, 2017 – VIZ Media, LLC (VIZ Media),a premier company in the fields of publishing, animation distribution, and global entertainment licensing, delivers the highly anticipated home video release of BORUTO: NARUTO THE MOVIE on March 28th, and will be followed by the Volume 1 launch of the BORUTO manga series on April 4th. The Blu-ray/DVD Combo Pack will be released as a deluxe, 2-disc collection (1 DVD & 1 Blu-ray) that presents the anime feature film in crisp 1080p HD, 16x9 video. Notable bonus combo pack exclusive features include a NARUTO OVA (The Day Naruto Became Hokage) and a production art gallery. The Standard DVD Set will present the film in 16x9 video with DTS-HD 5.1 as well as stereo audio. With Naruto as the Seventh Hokage, Hidden Leaf Village is planning to host the Chunin Exams to train new shinobi from the village and from five of their allied villages. Among the entrants are Sasuke's daughter, Sarada, who adores Naruto, Mitsuki, an exceptionally talented yet mysterious shinobi… And Boruto, Naruto's son who shows great potential, but despises his father. Volume 1 will carry a print MSRP of $9.99 U.S. / $12.99 CAN. BORUTO: NARUTO NEXT GENERATIONS will also be available digitally via VIZ.com/read and the VIZ Manga App, as well as from the Nook, Kobo, Kindle, iBooks, comiXology, and Google Play stores. Subsequent volumes of this ongoing series will be published in English on atriannual basis. 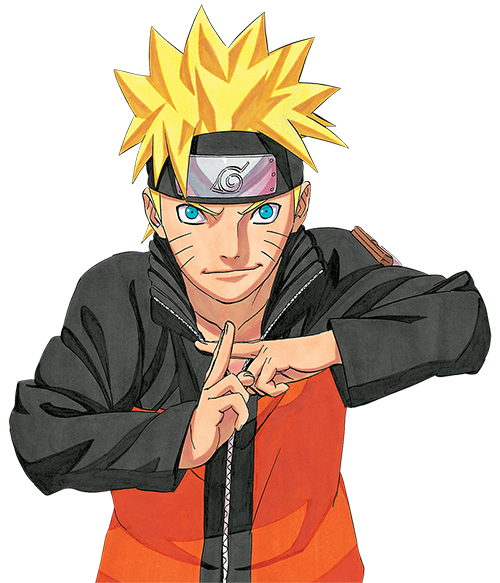 In the manga series, Naruto was a young shinobi with an incorrigible knack for mischief. He achieved his dream to become the greatest ninja in his village, and now his face sits atop the Hokage monument. But this is not his story... A new generation of ninja is ready to take the stage, led by Naruto's own son, Boruto!